When Emily Katz first immigrated to Israel in 1999, she was 23 and life was easy. Her greatest concerns were paying the rent for her Jerusalem apartment and getting good grades at Hebrew University. She met her future husband, Andy, also an American student, in Jerusalem, and after marrying in Israel the two moved back to the United States to work as Jewish educators. 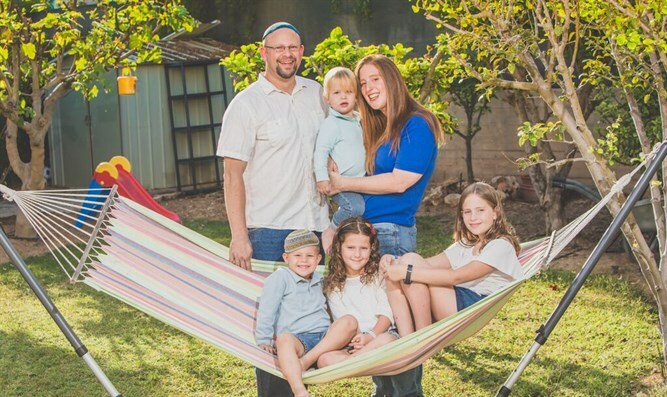 By the time Emily and Andy moved back to Israel from San Francisco in 2010, they had two children and much bigger things to worry about than rent and final exams. “Although we had lived in Israel before, it was like making aliyah all over again,” Emily said, using the Hebrew term for immigrating to Israel. The couple’s obvious choices were places with large communities of American immigrants where many of their friends had settled, like Jerusalem, Zikhron Yaakov or Modi'in. But after making a pilot trip before their move to explore their options in Israel, they felt those places weren’t the right fit. So they started considering out-of-the-box locations. That led them to Be'er Sheva, the unofficial capital of Israel’s south. Housing was much more affordable there, but it wasn’t just finances that appealed to the Katzes. They fell in love with the idea of building a new community in a place where they felt needed. They found jobs in Jewish education, and soon after moving to Be'er Sheva joined forces with another American couple to establish a new congregation, Kehilat Be’erot, which was an echo of the eclectic, nondenominational Jewish congregation the Katzes founded back in San Francisco, the Mission Minyan. Kehilat Be’erot, which organizes Shabbat services, cultural events and charity projects, has since grown to 40 families. “I feel like we’re pioneers in a certain sense,” Andy said. Israel’s south constitutes 66 percent of the country’s land mass, but is home to just 8 percent of its population. The vast potential of the Negev has attracted passionate Zionists since the days of David Ben-Gurion, yet it has still not become a central hub for the tens of thousands of English-speaking immigrants who have moved to Israel in recent years. Perhaps most significantly, the Israel Defense Forces is centralizing many of its operations at a huge new army base in the south, which is being referred to as the "city of the training bases." The giant complex of bases will be bringing thousands of jobs and career soldiers to the region. In 2013, Nefesh B’Nefesh -- which facilitates aliyah from North America and Britain -- launched a program together with Israel's Jewish National Fund and JNF-USA to draw new immigrants to the Negev, region where the costs of living and housing are lower. NBN's "Go South" program offers immigrants who move to the area -- stretching from Ashkelon on Israel’s Mediterranean coast to the Red Sea resort city of Eilat -- special financial incentives and benefits, in addition to those offered to new immigrants from the Israeli government. On top of the special financial benefits, Go South offers pre-and post-aliyah employment assistance, social programming and subsidized pilot trips for prospective immigrants interested in the south. Some professionals are eligible for additional financial incentives; for example, physicians, of whom there is a shortage in the south, may be entitled to enhanced grants. Since its launch, Go South has helped 2,000 immigrants settle in southern communities. In the seven years since the Katzes moves to Be'er Sheva, the change has been palpable. They moved in 2010, three years before the launch of Go South. Back then, there was no English-speaking representative at the city’s Absorption Ministry office, which made navigating the bureaucracy very difficult. Today, that office has an English-speaking staff member and Nefesh B’Nefesh has its own office in the city. 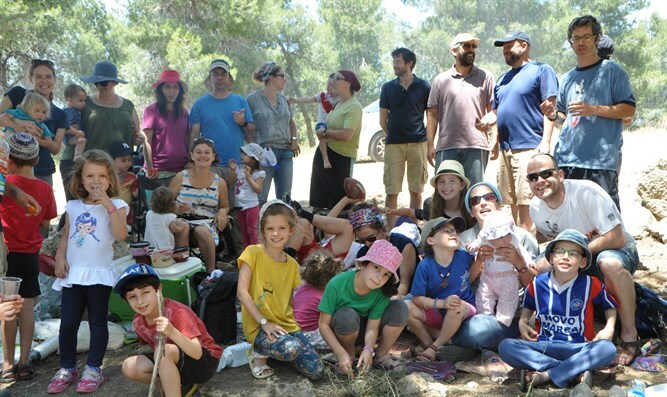 Most of all, the Katzes have found a wonderful sense of community in Be'er Sheva. They love the congregation they established, and they found a sense of connection to Israel and its people, which they don’t think they would have had in cities like Jerusalem or Modi'in. “In all the places we visited in Israel before moving, the communities were already built. We didn’t really see how we would add any unique value. We’d just be another nice Anglo couple that’s taking from the services that already exist,” Emily said. Andy says he and his wife see themselves not just as part of a wave of new immigrants to the south, but part of a vanguard helping make the south appealing to native Israelis too. This article was sponsored by Nefesh B’Nefesh.